Beginning in the early 1840s with the birth of the first advertising agency and momentum spurred by industrial systems, the book provides a historical overview of significant events and socio-cultural economic factors that have occurred to explain how and why a convergence crisis has erupted in contemporary American advertising. Chapter 3 discusses decades of advertising history, beginning with the 1920s, through World War II, the Great Depression, through the upheaval of the 1960s and 1970s. 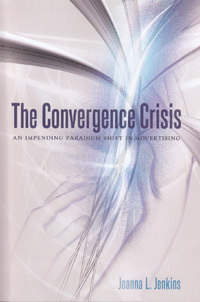 Joanna L. Jenkins, The Convergence Crisis: An Impending Paradigm Shift in Advertising. New York: Peter Lang Publishing, Inc., 2015. Reprinted by permission of the publisher. All rights reserved. Copyright © Peter Lang Publishing. All rights reserved.